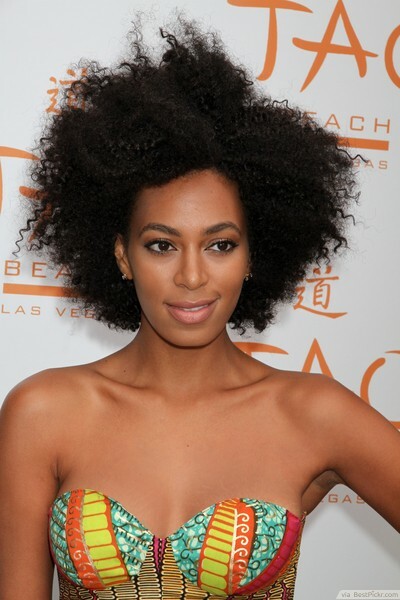 Solange Knowles looks absolutely gorgeous with her hair natural. Why try to force you hair to do something else? It’s the ultimate look to accentuate natural beauty and express your inner-self. Release your hair from its coifed and hair sprayed cages! This is the perfect look for the girl who loves herself as much as she loves her freedom.